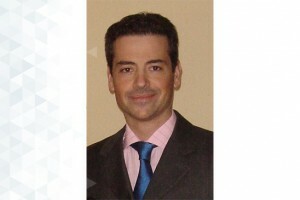 Pablo San Segundo is currently an associate professor of the Polytechnic University of Madrid, where he received the Elechtronics Engineering and Ph. D. degrees. His main research interests lie in Artificial Intelligence (planning, heuristics and search problems in general) and combinatorial optimization. Major highlights of his research activity lie in combinatorial optimization. In particular he is the developer of two of the most successful recent exact algorithms for the vertex coloring and maximum clique problems, both acknowledged by the scientific community in relevant publications. He has also designed an almost-perfect heuristic for the N-Queens problem and worked on different constraint-satisfaction problems. He has also been involved in national and EU funded projects as well as many industrial projects, and in 2012 founded the start-up Biicode together with other professors at the UPM, oriented to improve the software industry. He is also a chess lover and supporter: became an International Chess Grand Master in 1995, has been a member of the Spanish Olympic Team for 14 years (1994-2008), Spanish Chess Champion in 1997 and two times Spanish Team Chess Champion (2009, 2011). Computers and Operations Research. Vol.92. Pages: 37 - 46. An enhanced bitstring encoding for exact maximum clique search in sparse graphs. Optimization Methods and Software. Vol.32. Number. 2. Pages: 312 - 335. A parallel maximum clique algorithm for large and massive sparse graphs. Optimization Letters. Vol.11. Number. 2. Pages: 343 - 358. A new exact maximum clique algorithm for large and massive sparse graphs. Computers and Operations Research. Vol.66. Pages: 81 - 94. A fast greedy sequential heuristic for the vertex colouring problem based on bitwise operations. Journal of Combinatorial Optimization. Vol.31. Number. 4. Pages: 1665 - 1677. Improved initial vertex ordering for exact maximum clique search. Applied Intelligence. Vol.45. Number. 3. Pages: 868 - 880. A novel clique formulation for the visual feature matching problem. Applied Intelligence. Vol.43. Number. 2. Pages: 325 - 342. Infra-chromatic bound for exact maximum clique search. Computers and Operations Research. Vol.64. Pages: 293 - 303. Relaxed approximate coloring in exact maximum clique search. Computers and Operations Research. Vol.44. Pages: 185 - 192. Robust global feature based data association with a sparse bit optimized maximum clique algorithm. IEEE Transactions on Robotics. Vol.29. Pages: 1332 - 1339. Watching subgraphs to improve efficiency in maximum clique search. Studies in Computational Intelligence. Vol.489. Pages: 115 - 122. New decision rules for exact search in N-Queens. Journal of Global Optimization. Vol.51. Number. 3. Pages: 497 - 514. Programación de autómatas con STEP 7. Un enfoque práctico.